Steve Wozniak (formally Stephan Gary Wozniak) is an American computer programmer and inventor, best known for being the co-founder of Apple Computer along with Steve Jobs and Ronald Wayne. 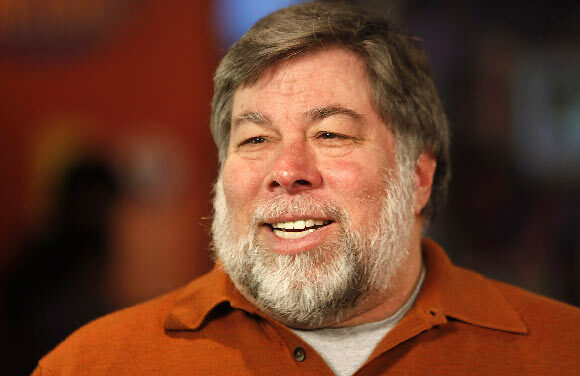 Wozniak or “Woz” as he is popularly known, was born in 1950 in San Jose, California. He was highly interested in computer technology even as a child. Early on, he began building his own machines including a machine that played Tic-Tac-Toe for a Science Fair Project in the sixth grade. He received his HAM radio license and started building more sophisticated machines as he grew older, despite the lack of any formal technical education. Wozniak joined a club called the Homebrew Computer Club, which was run out of people’s garages. Wozniak and other like minded “techies” purchased cheap parts and tried to create their own machines. Till that point, this work was just a hobby to him; he had no idea of its commercial value. Wozniak met Steve Jobs through a mutual friend at the University of California at Berkeley in 1971 and the two hit it off instantly. The two briefly worked together at the computer game manufacturer Atari, Inc as well as the computer giant Hewlett Packard. Wozniak quit college a year after enrolling. While the duo was working at Atari, the company offered a $100 reward for each microchip that could be eliminated from its games’ design. Wozniak reduced the number of chips by 50 but the reward of $5000 was never received by him. Instead Jobs chose to pocket the money, telling Wozniak that Atari had only awarded them with $700 out of which Wozniak would receive half the share as agreed between them. Wozniak was only to find this out later on. In 1976, Jobs and Wozniak founded their own computer company named “Apple Computer” (this was later renamed Apple, Inc.) out of Jobs’ parents’ garage. Wozniak designed and developed the operating system of the company’s famous Apple I and Apple II computers. Computers at that time were sold in parts which had to be assembled at home but Jobs had the idea of selling pre-assembled computers, a concept which was an immediate hit in the market. The company’s first computer lacked a case, power supply, keyboard, and display – all of which had to be provided by the user but later designs became more sophisticated. After the success of the Apple I computer, the two decided to launch Apple II, which had the ability to display color graphics and had its own built in computer language designed by Wozniak. In February 1981, Wonziak was involved in a plane crash due to which he suffered memory loss and sustained several injuries. His recovery took almost two years, after which he left Apple Computers and founded numerous subsequent ventures, which included a company called “CL 9” responsible for inventing the first universal remote control in 1987. In 2001, he founded another company called “Wheels of Zeus” (WoZ) to create wireless GPS technology. In 2006, he founded a company called “Acquicor Technology”, a company that acquires and helps to set up technology companies. Wozniak’s autobiography titled “iWoz: From Computer Geek to Cult Icon: How I Invented the Personal Computer, Co-Founded Apple, and Had Fun Doing It” was published in 2006. In 2007, he joined a specialized clothing company called Scottevest as an Advisory Board Member. Steve Wozniak is a well known philanthropist and spends a considerable amount on funding educational and technological projects. His awards and honors include the National Medal of Technology (received along with Steve Jobs) from US President Ronald Reagan in 1985, honorary degrees from a number of universities including Michigan State University, North Carolina State University and Santa Clara University, induction into the National Inventors Hall of Fame in 2000 and the Global Award of the President of Armenia for Outstanding Contribution to Humanity Through IT in 2011. He also holds a number of patents for computer technology. Wozniak currently lives in California and has an estimated net worth of $100 million.